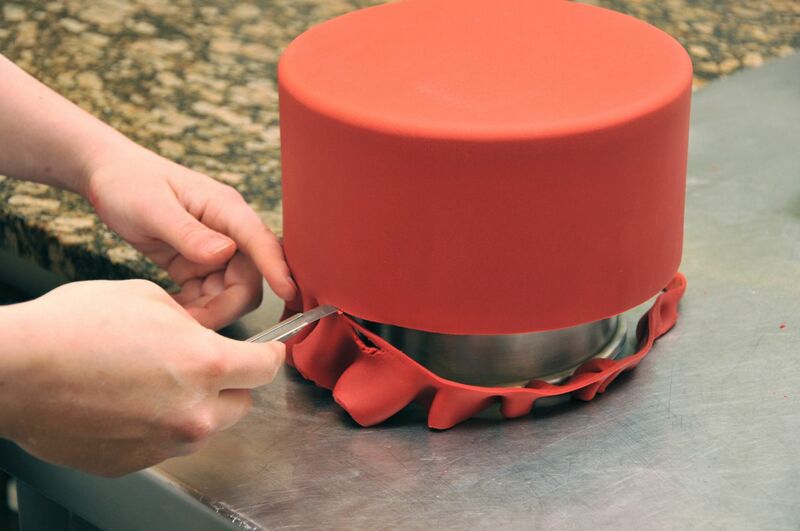 – You can make matte fondant look shiny by using a steamer. 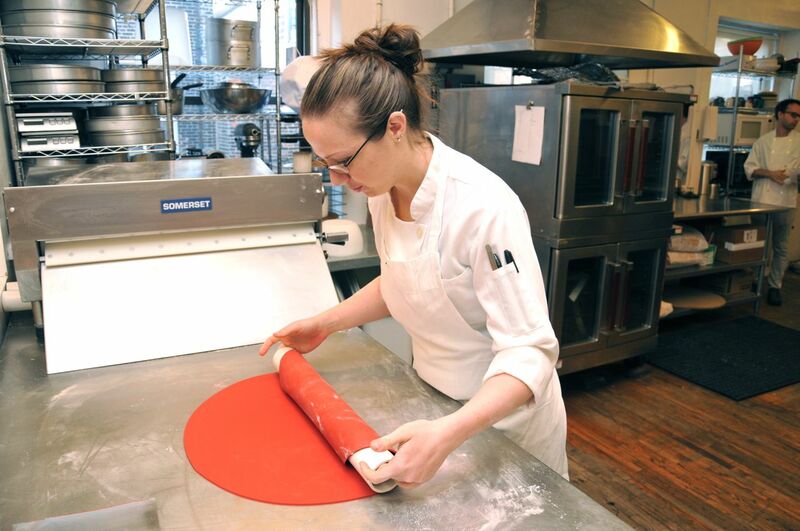 – Use a little vegetable shortening on a pairing knife when cutting fondant at the base of a cake tier. Using the vegetable shortening on the knife makes this process so much easier. 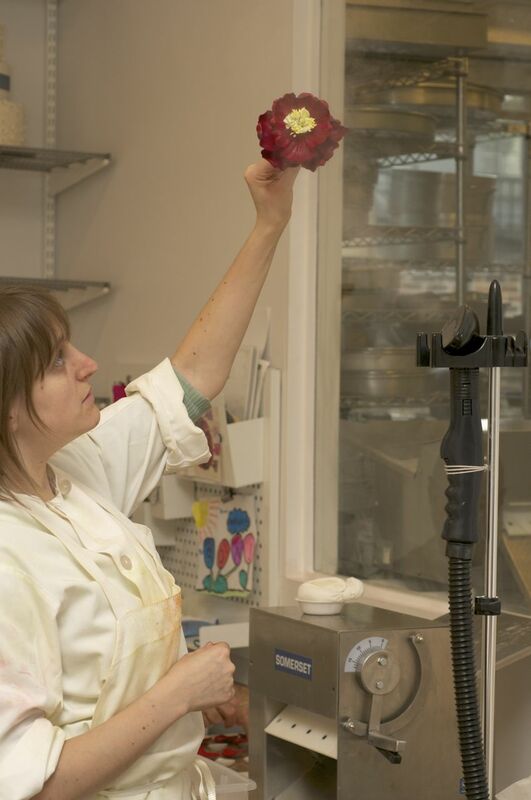 You can see the large sheeter beside Robin, but she still uses the PVC pipe to aid her in covering cakes. Thanks a bunch! Since I can’t attend his classes, I appreciate any tips from him that I can get. He is my hero! I believe you mentioned he would be featured in an upcoming Food Network magazine and I haven’t seen it on the stands. Do I remember incorrectly or is it not out yet? And, when are the new “Sweet Genius” shows airing? Thanks for your friendly and informative blog. I always read your posts.